All right I am officially sad that Microsoft has, as of today,discontinued support for Windows XP. It is the last Microsoft OS that I actually liked, as opposed to put up with. Although it hasn’t been my main OS on any of my machines for more years I fired it up yesterday to investigate an issue for a client. Just looking at the familiar home screen brought a smile to my face. With some wistfulness I did my last Windows Update. There are still millions of XP boxes out there but I don’t feel the deep need to push my luck. 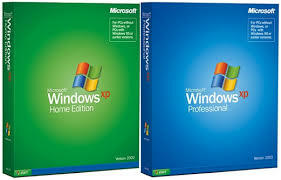 There are rumors of hordes of hackers launching zero day attacks against My current main line Microsoft OS is 7 or 8.1 depending if I am work or home. After XP things went to hell in Microsoft OS Land. First there was Vista. My reaction to vista was topurchase a Macbook pro. Then there was Vista Service Pack 2 which everyone knows as Windows 7. Now there is the new Vista , otherwise known as Windows 8 or 8.1. When I install these things on a new box, it takes me about 30 seconds before I install Classic Shell. Well the new Vista is out and has been for a while. Perhaps it is time to get a new Macbook.